Targeting and research − so you’ll know who you’re writing for. That helps you know what skills and qualifications you have that you will be important to them and resonate with them. Personal branding − so you can define and communicate what you’re like to work with, how you accomplish things, and how you work with people. 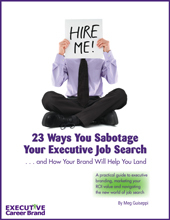 Branding helps you generate chemistry in your executive resume. 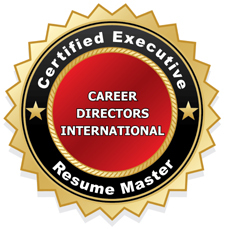 Executive resume-writing best practices in terms of value-driven content, formatting, grammar, etc. 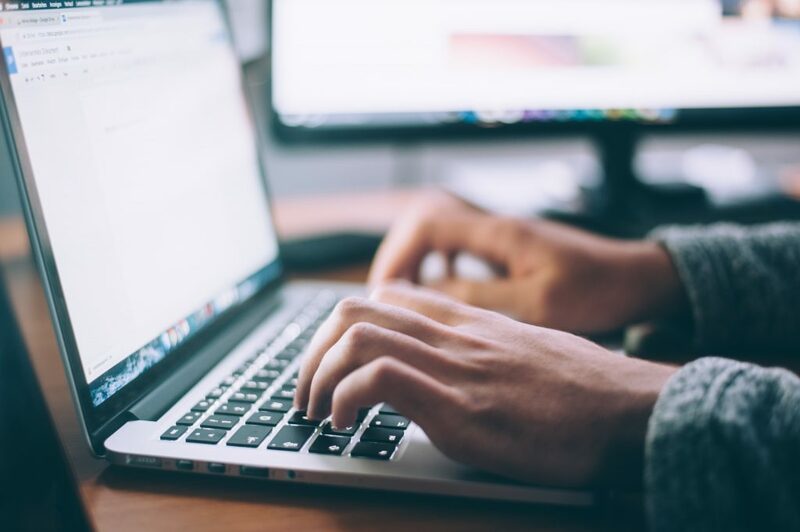 Here are 2 tips you may not know for your resume that can help elevate the value you offer and catapult your job search forward. With adjustments, both of these tips also apply to writing your LinkedIn profile. 1. Add a quote to the “summary” section at the top. Insert a short compelling quote from someone you’ve worked with about you and the value you offer. Or include a quote of your own – something you’re known for saying. Or choose an inspiring quote that guides you, from an influencer or someone well-known in your industry. Highlight it with italics and bolding to make it stand out, and consider placing it in a graphic box for even more emphasis. 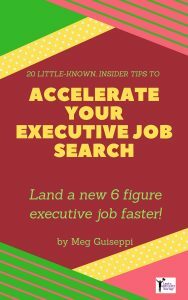 A quote, in and of itself, makes your executive resume stand out. But when the content of the quote is compelling, it helps people connect with who you are and the value you offer. For your LinkedIn profile, obviously don’t pull a quote from one of the recommendations already sitting on your profile. Find a new quote to add. 2. Create a personal brand statement with personality. 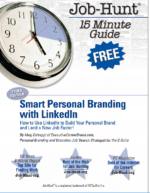 Although personal branding should be evident across the content in your executive resume and LinkedIn profile, a stand-alone brand statement can have great impact. But do more with your brand statement than simply listing relevant keywords and phrases. Don’t forget the “personal” piece in personal branding. Give a feel for your personality. Generate chemistry by weaving together those relevant keywords (typically these represent your key areas of expertise) with your key personal brand attributes. Don’t shy away from telling people who you are, how you operate, what you’re passionate about, your leadership and management style, what you’re like to work with, etc. How does the following vibrant brand statement grab you? Do you get a feel for this COO/President turnaround management expert? Entrepreneurial, persevering leader who takes on turnarounds that no one in their right mind would touch. Known for cutting to the core to identify organic business growth opportunities and reorganize to transform losers into profitable organizations. Would you also recommend creating a summary for non-executive resumes e.g. professionals with less than 10 years of experience. How can such professionals distinguish themselves in a crowded marketplace? Ash, thanks for commenting! Yes, I recommend that job seekers at any professional level, no matter how many years experience, have a branded summary section on their resume. Distinguishing yourself is the same for all job seekers. — Identify good-fit employers to target for jobs. — Research their current needs that you’re uniquely qualified to help them with. — Define your personal brand (personal attributes, passions, driving strengths, etc.) around qualities those target employers are looking for. — Create brand-reinforcing content (for documents and online profiles) that will resonate with those employers, and position you as the best hiring choice. Great article. This article adds something most executive job seekers do not have on their résumé. When you have something that makes you stand out from other job seekers this is always a great idea especially in this job market. Thank you for your insightful comment, Darryl. Standing out and differentiation are what personal branding is all about. 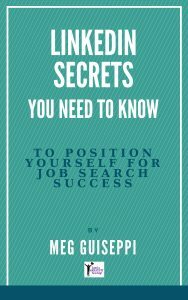 Job seekers need to distinguish themselves from their competitors and position themselves as a good hiring choice.